The Spanish government has already made up its mind about which Catalan laws it will challenge next by filing a complaint with the Constitutional Court. 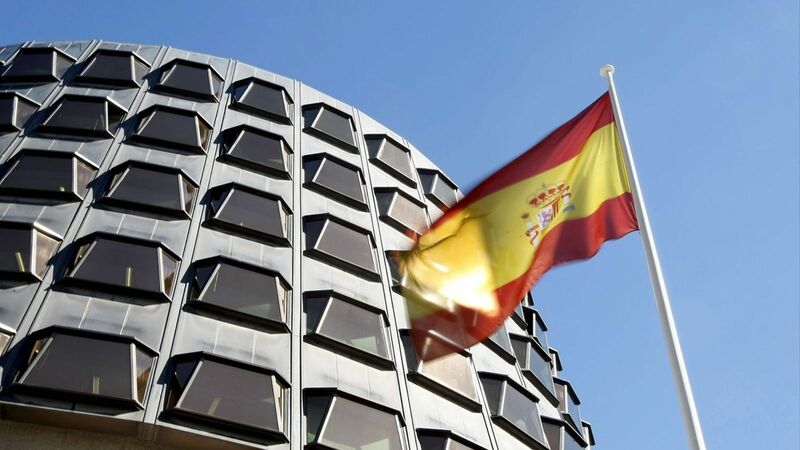 Spain’s Treasury has informed Catalonia’s Ministry for Territory and Sustainability: it is the 24/2015 law of urgent measures to tackle housing and energy poverty emergencies, as well the law that imposes taxes on the owners of vacant flats. The latter was a citizens’ initiative that was passed into law by a majority of the Catalan parliamentary groups. This legislation made provisions to combat housing emergencies with initiatives aimed at preventing evictions and situations of potential homelessness. Among other steps, it established a compulsory social rent, the right to relinquish home ownership in lieu of paying off a mortgage and emergency rehousing measures. The Spanish government has already indicated that it will appeal against it with the Constitutional Court because it believes that the Catalan law violates the concept of property as established in Spain’s Constitution and Civil Code. On the subject of the regulation of a tax on flats owned by banks --not private individuals-- that have been vacant for over two years, the Spanish government feels that the Catalan executive branch has “overstepped its powers” because provisions for such a tax already exist in Spain’s law of local government in the form of a surcharge on local property tax levied on vacant properties. Therefore, Madrid’s interpretation is that the Catalan law is in fact a duplicate of an already existing tax, even though this is not being levied because it still lacks regulation. Santi Vila, Catalonia’s minister for Territory and Sustainability, finds the announcement of the PP government’s appeal “inadmissible” and has stated that “nobody understands how the Spanish government can block two laws that are so important to promote social housing rights”. With regards to the tax on vacant flats, the minister recalled that it includes a transitory provision whereby coordination with local councils would avoid taxing such properties twice. The Spanish government’s decision to challenge these laws has been met with outrage from the grassroots groups that initially campaigned for the law against evictions: PAH, APE and Observatori Desc. These groups promoted the citizens’ initiative and drummed up enough support for it to come to fruition, first with petitions and ultimately in parliament. These groups complain that Mariano Rajoy’s government has challenged every instrument approved to “force banks and utility companies to take responsibility for the most tragic effects of the recession”. The organisations that promoted the citizens’ initiative believe that the Catalan law is thoroughly constitutional and they assure that the Spanish government is not concerned about constitutional issues, but about “unashamedly defending the interests of banks and utility companies”. October 2015: challenge and suspension of Catalonia’s law on retail outlets which effectively banned new retail space in the outskirts of towns and cities. October 2015: challenge and suspension of Catalonia’s consumers’ code. It established a number of measures against energy poverty and abusive clauses in mortgage contracts and other financial products. September 2015: challenge and suspension of the law that sought to reform Catalonia’s Treasury Office and lay down the foundations of one of the main institutions of an independent country. September 2014: challenge and suspension of Catalonia’s law that regulated a new tax on providers of electronic communications. This was a tax on telecom operators --the broadband tax-- and the revenue levied was meant to support Catalonia’s media industry. July 2015: challenge and suspension of Catalonia’s law that taxed industrial and commercial airplane emissions and nuclear-generated electricity. July 2015: challenge against Catalonia’s powers to reform real estate, business and property registries. July 2015: challenge against the creation of Catalonia’s Commissioner for the National Transition, as it allegedly conflicted with Madrid’s reserved powers. June 2015: challenge and suspension of a number of provisions in Catalonia’s law on fiscal, financial and administrative measures. June 2015: challenge and suspension of Catalonia’s 2015 budget. June 2015: Spain’s Constitutional Court rules that the Catalan government’s actions in preparation for the non-binding consultation of November 9 were unconstitutional. June 2015: two Catalan rules on taxes levied on bank account holders are found to be unconstitutional by the Constitutional Court. April 2015: the Constitutional Court hears an appeal by the Spanish government against Catalonia’s foreign policy law. March 2015: the Constitutional court hears an appeal filed by Spain’s Ombudsman and rules that several articles of Catalonia’s Ombudsman law are null and void. February 2015: the Constitutional Court rules that several articles of Catalonia’s law of consultations are unconstitutional and strikes down the presidential order calling a mock referendum for November 9. January 2015: the Constitutional court hears Madrid’s appeal against Catalonia’s law that imposed a tax on bank accounts. December 2014: the Constitutional Court refuses to hear the Catalan government’s appeal against Madrid’s challenging of the preparations for the 9N consultation. December 2014: the Constitutional court hears Madrid’s appeal against the Catalan law that regulates business hours for the retail industry. November 2014: the Constitutional court hears Madrid’s appeal against the law of fiscal and administrative measures, and Catalonia’s public sector. November 2014: a law that banned fracking in Catalonia and other Spanish regions is suspended. November 2014: the Court hears Madrid’s challenge against the actions taken in preparation for the consultation of November 9. October 2014: the Court hears Madrid’s challenge against the reform of Catalonia’s consumers’ Code. October 2014: the Constitutional Court rules that there are no grounds for challenging judge Pérez de los Cobos and judge González-Trevijano in the appeal against Catalonia’s law of consultations. September 2014: the Court hears Madrid’s complaint against Catalonia’s law of consultations and the calling of the 9N vote and suspends them both. May 2014: the Constitutional Court rules that Catalonia’s one euro tax on every medical prescription, together with the Generalitat’s judicial tax, are unconstitutional. March 2014: the Constitutional Court hears part of the Spanish government’s appeal against Catalonia’s declaration of sovereignty. The Court’s frantic activity, challenging and suspending Catalan laws, has had a negative impact on the Catalan government’s finances, as many of the challenges concern taxes, such as the one on broadband providers, airplane emissions, the euro on medical prescriptions, the tax on bank accounts and so on. The Court’s rulings have had a direct impact on the Generalitat’s coffers, as shown in the chart.